Citronix had the pleasure of exhibiting at PPMA 2018. Once again, the PPMA Show highlighted why it’s the UK’s unmissable event for processing and packaging machinery, when it returned to Birmingham’s NEC on 25-27 September. The 12,000sqm exhibition brought together 350+ international exhibitors representing 1,500+ brands under one roof, where 8,000+ visitors from the sectors of food, drinks, pharmaceuticals, chemicals and FMCG descended on the show to seek out the latest innovations and discuss the industry’s hot topics. PPMA provided the Citronix team with a great opportunity to network with both existing and potential customers. The products and technologies exhibited surpassed that of last year, including the solutions displayed on our own Citronix stand. 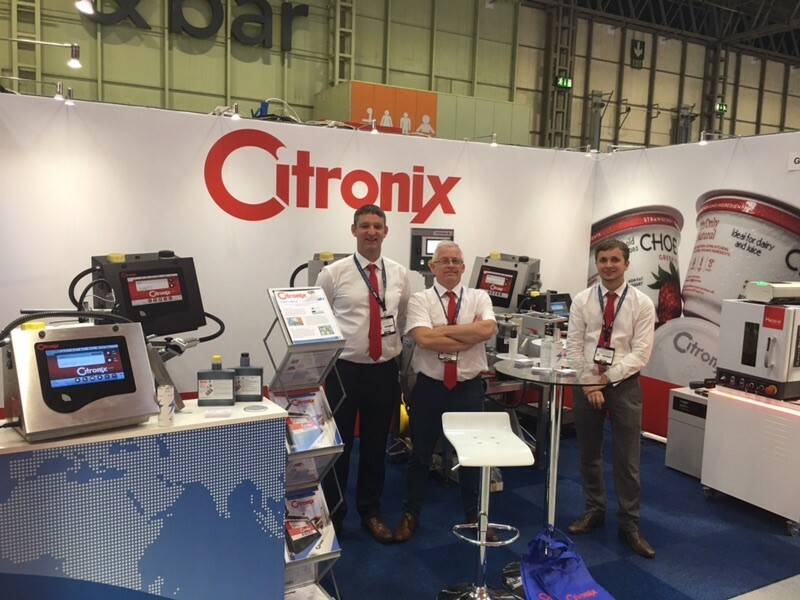 The show really highlighted the innovation, growth and ongoing evolution of processing and packaging machinery, as well as the importance of Citronix technology in helping customers meet their coding, marking and labelling needs. At this year’s PPMA, Citronix had three exciting and innovative products on display: The Citronix ci5000 series Continuous Inkjet Printer, the Intrex SET1101 Labeller, and the Macsa iCON CO2 laser. The ci5000 series range of Continuous Ink Jet (CIJ) printers is built upon Citronix’s long heritage and core values of Simple, Capable, Reliable and Excellent Value, positioning it as one of the world’s leading CIJ brands. 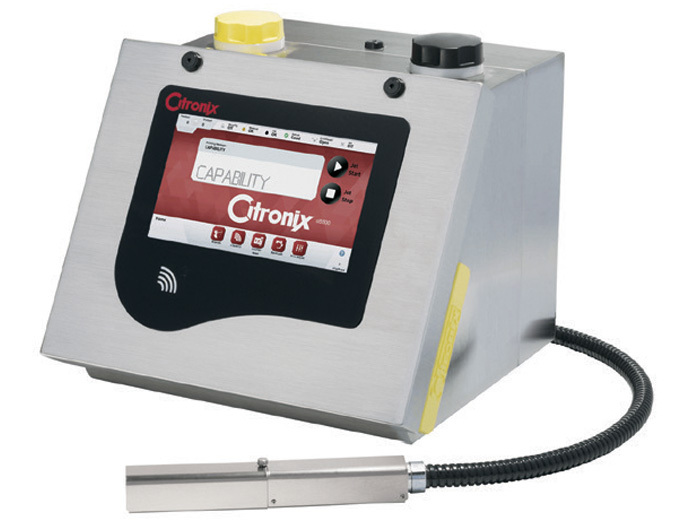 Citronix offers a comprehensive range of continuous ink jet (CIJ) printers and inks to meet all your coding and marking needs. Citronix printers offer a non-contact way to code your products, whether plastic, metal, paper, wood, glass or other surface types, with one to five lines of high quality text, graphics and bar codes at very high speeds. Citronix’s printers are found in the most demanding coding and marking applications across industries such as food and beverage, extrusion, cable and wire, cosmetics, pharmaceutical and health care, electronic components, automotive, construction and other industrial sectors. The new ciSeries range of printers introduced in 2016 comprises the ci5200, ci5300, ci5500 and ci5650. Pigment, Heavy Pigment, Micro and HS50 (High Speed 50 Micron) specialty printers are also available as variants of the ci5500 and ci5650 models. Intrex produce labelling systems, custom-made for the client, recognizing their needs and requirements. The offering ensures full-scale and competent service starting with your order through installation to complex post-sale service and support. The Intrex SET1101 Labeller is designed to precisely apply partial or wrap-round labels on cylindrical products of any kind: cans, bottles, jars, etc. 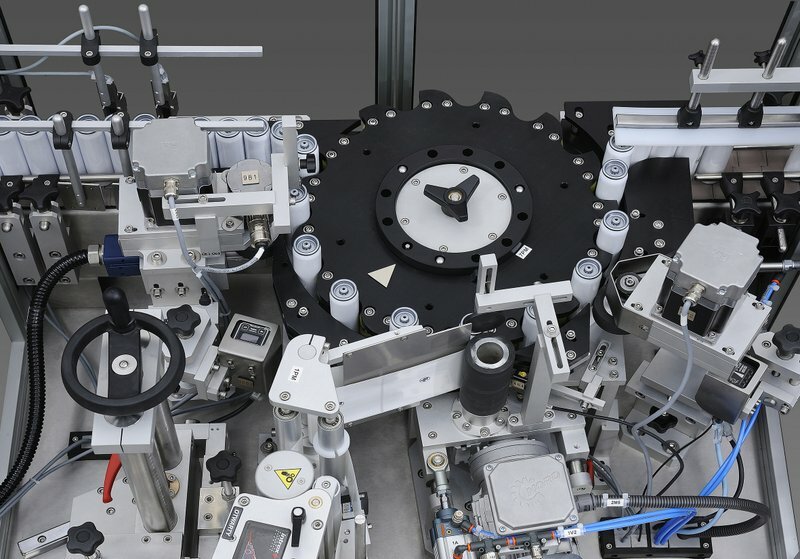 This Automatic labelling machine can be integrated on to a production line or can be used to apply labels in a separate process. The labeller uses a 3 roller module, designed for high precision label application as well as easy replacement of pressing rollers when required. iCON CO2 lasers use no ink. This means very low costs: no consumables budget and no ink system to maintain. And no ink means no mess and a cleaner, more hygienic production environment. Furthermore iCON lasers are intrinsically reliable: that means no breakdowns and low maintenance charges. Now price is no longer a reason not to use a laser for small character coding. iCON lasers delivers top quality performance at a competitive price. They are small and compact and easy to install even in the most difficult locations. PPMA 2018 was a great success for Citronix and we would like to extend a massive thank you to the event organisers, exhibitors and attendees. Team Citronix are excited to see how processing and packaging machinery will advance in the future and how our technologies will grow and develop to continue to meet customer needs.